MINNEAPOLIS / ST. PAUL —A University of Minnesota-led research team has proposed a mechanism for the control of whether embryonic stem cells continue to proliferate and stay stem cells, or differentiate into adult cells like brain, liver or skin. The study gives researchers a handle on how those two competing processes might be controlled. It was performed at the university’s Hormel Institute in Austin, Minn., using mouse stem cells. The researchers, led by Hormel Institute Executive Director Zigang Dong and Associate Director Ann M. Bode, have published a report in the journal Nature: Structure and Molecular Biology. The mechanism centers on a protein called Klf4, which is found in embryonic stem cells and whose activities include keeping those cells dividing and proliferating rather than differentiating. That is, Klf4 maintains the character of the stem cells; this process is called self-renewal. The researchers discovered that two enzymes, called ERK1 and ERK2, inactivate Klf; this allows the cells to begin differentiating into adult cells. The two enzymes are part of a “bucket brigade” of signals that starts when a chemical messenger arrives from outside the embryonic stem cells. Chemical messages are passed to inside the cells, resulting in, among other things, the two enzymes swinging into action. The researchers also discovered how the enzymes control Klf4. They attach a small molecule–phosphate, consisting of phosphorus and oxygen–to Klf4. This “tag” marks it for destruction by the cellular machinery that recycles proteins. Further, they found that suppressing the activity of the two enzymes allows the stem cells to maintain their self-renewal and resist differentiation. Taken together, their findings paint a picture of the ERK1 and ERK2 enzymes as major players in deciding the future of embryonic stem cells–and potentially cancer cells, whose rapid growth mirrors the behavior of the stem cells. Klf4 is one of several factors used to reprogram certain adult skin cells to become a form of stem cells called iPS (induced pluripotent stem) cells, which behave similarly to embryonic stem cells. Also, many studies have shown that Klf4 can either activate or repress the functioning of genes and, in certain contexts, act as either an oncogene (that promotes cancer) or a tumor suppressor. Given these and their own findings reported here, the Hormel Institute researchers suggest that the self-renewal program of cancer cells might resemble that of embryonic stem cells. “Although the functions of Klf4 in cancer are controversial, several reports suggest Klf4 is involved in human cancer development,” Bode said. Established in 1942, the Hormel Institute is a world-renowned medical research center specializing in research leading to cancer prevention and control. 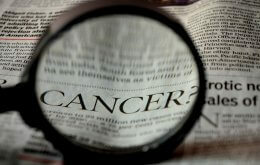 It is a research unit of the University of Minnesota and a collaborative cancer research partner with Mayo Clinic.